1777 November 4 Commends General Gates and his army for their defense against Burgoyne's invasion and various other officers and units for their defense of the Delaware. November 7 Names new appointees to reorganized Board of War. November 1014 Conducts final debates on Articles of Confederation. November 15 Adopts Articles of Confederation. November 17 Transmits Articles of Confederation to states for their consideration. November 19 Directs General Washington to inquire into the treatment of American prisoners. November 20 Adopts report on pacification of the western frontier. November 21 Recalls Commissioner Silas Deane from the court of France. November 22 Adopts economic program asking the states to levy taxes, call in paper money, and regulate prices. November 24 Adopts measures for improving the provisioning of the army. November 27 Recommends confiscation of loyalist property in the states; completes reconstitution of the Board of War, Horatio Gates named president. November 28 Appoints committee to confer with General Washington; orders inquiry into the failures of the Rhode Island expedition and the Delaware River defenses; appoints John Adams commissioner to France. November 29 Appoints committee to obtain a French translation of the Articles of Confederation and to invite Canada "to accede to the union of these states." December 1 Rejects alteration of the Saratoga Convention to permit embarkation of Burgoyne's army from Rhode Island. December 3 Resolves to seek $2 million loan from France and Spain; directs suppression of Delaware loyalists; adopts instructions for retaining continued neutrality of the Six Nations; endorses proposal for a surprise attack against Lake Champlain. December 8 Orders Silas Deane's immediate return to Congress. December 10 Denounces Gen. William Howe's treatment of American prisoners; authorizes General Washington to impress supplies in Pennsylvania. December 13 Appoints Gen. Thomas Conway to newly constituted post of inspector general of the army. December 16 Receives report of the committee at head quarters. December 19 Questions General Washington's plans for a winter cantonment. December 26 Debates implementation of the Saratoga Convention. December 30 Grants navy boards increased authority over naval officers; extends General Washington's powers to impress supplies, discipline officers, and punish spies. 1778 January 2 Dismisses Esek Hopkins from the Continental Navy. January 8 Detains Convention Army in America until properly notified of Britain's "explicit ratification of the convention of Saratoga." January 11 Appoints committee to repair to headquarters to concert with General Washington on the reform of the army. January 12 Examines John Folger on the theft of despatches from the commissioners in France. January 14 Accepts Baron Steuben's tender of services as a volunteer in the Continental Army. January 15 Orders creation of additional magazines for supply of the army in Pennsylvania. January 16 Instructs committee at camp to evaluate an attack on Philadelphia. January 17 Resolves to issue an additional $10 million in loan office certificates. January 20 Appoints Charles Carroll and Gouverneur Morris to the committee at camp to replace members named from the Board of War. January 21 Adopts measures to secure improved British treatment of American prisoners of war. January 23 Names General Lafayette to command an invasion of Canada. January 27 Appoints committee to confer on the reform of the hospital department. January 3031 Studies proposals for reform of the quarter master department and for retaining the neutrality of the Indians in the northern department. February 2 Appoints officers for Canadian expedition. February 3 Prescribes oath required of all officers of the United States. February 4 Directs commissioner to the court of Tuscany to seek $1 million loan; receives Committee at Camp recommendation that Jeremiah Wadsworth be appointed commissary general of purchases. February 6 Reforms medical department; appoints middle department physician general. February 11 Adopts regulations for commissary general of military stores. February 13 Requests North Carolina beef and pork embargo. February 16 Resolves to emit additional $2 million in bills of credit. February 17 Suspends Board of War's special purchasing agents. February 19 Relocates Convention Army for security purposes. February 23 Appoints committee to reexamine feasibility of Canadian expedition. February 26 Adopts resolves for arranging a prisoner exchange; adopts new Continental Army quotas and recruiting regulations. February 27 Prescribes death penalty for persons convicted of aiding the enemy. March 2 Appoints Nathanael Greene quartermaster general and adopts new quartermaster regulations; urges cavalry recruitment; suspends Canadian expedition. March 3 Authorizes General Burgoyne's return to England. March 4 Authorizes Washington to employ Indians with the army. March 5 Resolves to emit additional $2 million in bills of credit. March 7 Designates April 22 a day of fasting and prayer. March 12 Urges states to keep three delegates in constant attendance. March 13 Adopts new commissary regulations; reassigns Lafayette and de Kalb. March 16 Orders return of Pennsylvania pacifists exiled to Virginia; orders study of state compliance with recommendations of Congress. March 18 Increases Washington's authority to negotiate prisoner exchanges. March 21 Adopts measures for defense of the northern department. March 24 Resolves to resume once daily sessions. March 26 Orders arrest of Delaware loyalists to thwart invasion threat. March 28 Appoints Casimir Pulaski to command independent cavalry corps. March 30 Adopts revised prisoner exchange instructions. April 4 Resolves to emit additional $1 million in bills of credit; empowers Washington to call New Jersey, Pennsylvania, and Maryland militia. April 7 Adopts contract terms for Commerce Committee to execute with Roderique Hortalez & Co. April 9 Sets pay and allowances for commissary officers and appoints Jeremiah Wadsworth commissary general of purchases. April 10 Holds acrimonious debate on letter criticizing Washington, sparking walkout of Thomas Burke and Edward Langworthy. April 11 Orders Thomas Burke to answer charges of disrupting proceedings of Congress; resolves to emit additional $5 million in bills of credit. April 14 Adopts regulations for commissary general of purchases. April 15 Responds to Delaware protest that General Smallwood's seizure of loyalists infringed the internal police of the state; directs General Gates to take command of the northern department. April 16 Rejects motion to refer issue of Continental officers' pensions to the states. April 18 Orders inquiry into the loss of the Virginia. April 22 Orders publication of statement on North Ministry's peace proposals. April 23 Urges states to pardon and forgive penitent loyalists; requests Maryland to send troops to suppress Delaware uprising. April 25 Resolves that Thomas Burke's withdrawal from Congress was "disorderly and contemptuous." April 26 Holds Sunday debate on halfpay proposal for Continental officers. April 28 Accepts General Conway's resignation. April 29 Adopts plan to encourage desertion of British mercenaries seeking land and citizenship in the United States. May 3 Holds Sunday session to consider treaties of commerce and alliance negotiated with France. May 4 Ratifies the treaties with France. May 5 Instructs commissioners to secure revocation of two treaty of commerce articles. May 8 Adopts an address to the inhabitants of the United States. May 9 Issues proclamation denouncing seizures of neutral shipping by American armed vessels. May 11 Instructs Massachusetts on safeguarding the rights of the owners of an illegally seized Portuguese vessel. May 13 Rejects motion to refer proposed officer pension plan to the states. May 15 Adopts plan to provide half pay for officers for seven years after the conclusion of the war. May 18 Receives "plan for regulating the army" from the committee at camp. May 19 Orders emission of $6.3 million in bills of credit to pay interest on loan office certificates. May 21 Authorizes Massachusetts to assist Nova Scotia revolutionaries at Continental expense; adopts principles for governing prisoner exchanges. May 22 Resolves to emit additional $5 million in bills of credit. May 26 Adopts revised "rules" of Congress. May 27 Adopts new "Establishment of the American Army." May 28 Revises commissions of the American commissioners to Vienna, Berlin, and Tuscany. May 30 Resumes twice daily sessions "for the space of one month." June 1 Debates instructions for the American commissioners in Europe. June 4 Recommends suspension of state price regulations; directs Washington to "proceed in arranging" the army. June 6 Rejects peace proposals submitted by Lord Howe and Sir Henry Clinton. 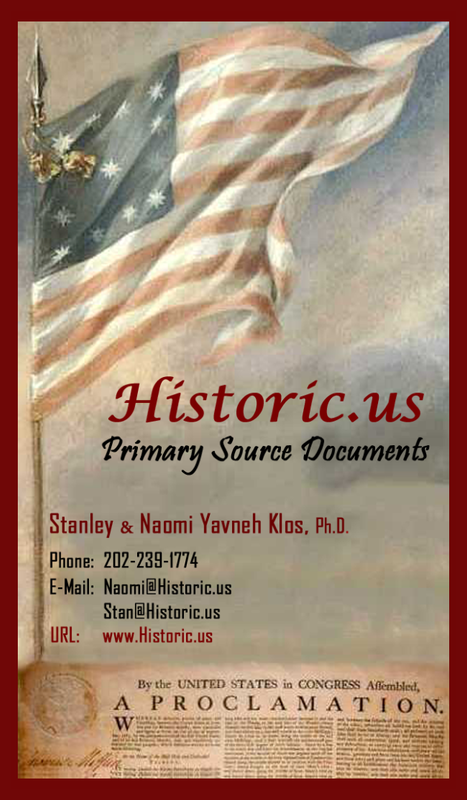 June 8 Embargoes provisions (effective June 10November 15, 1778). June 11 Receives notice of the arrival of the Carlisle peace commission at Philadelphia; orders expedition against Fort Detroit; orders quartermaster department inquiry. June 13 Receives letter from the Carlisle peace commission. June 17 Adopts reply to the Carlisle peace commission orders halt to personal "correspondence with the enemy." June 20 Receives notice of the British evacuation of Philadelphia; resolves to emit additional $5 million in Continental currency. June 2225 Debates proposed state amendments to the Articles of Confederation. June 25 Orders reinforcements for Rhode Island. 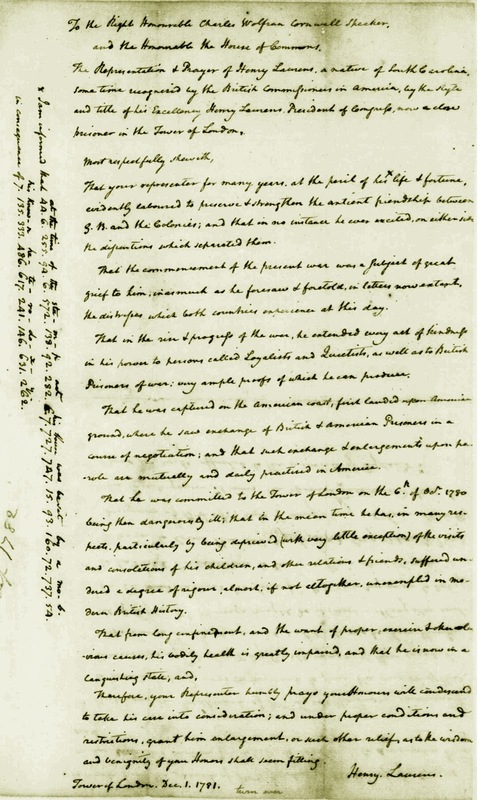 June 26 Orders Articles of Confederation to be engrossed for signing. June 27 Adjourns from York, "to Thursday next, to meet at the State House in Philadelphia." August 1 Consigns tobacco for payment of Beaumarchais' contract claims. August 3 Investigates commissaries Benjamin Flower and Cornelius Sweers for fraud. August 6 Holds formal audience with French minister Gerard. August 7 Debates proposal to discipline board of war members for disregarding an order of Congress. August 10 Postpones proposal to exchange former New Jersey governor William Franklin for Delaware president John McKinly. August 11 Adopts declaration denouncing peace commissioner George Johnstone for attempted bribery of American leaders. August 13 Curtails issuance of passes for travel to British occupied New York; orders Silas Deane to at tend Congress. August 15 Orders Silas Deane to prepare an oral report on his mission to France; adopts resolution for maintaining the secrecy of correspondence of the committee for foreign affairs. August 17 Hears Silas Deane's testimony; receives resignation of Maj. Gen. Thomas Mifflin. August 20 Refers report on the inspector general's department to Washington; rejects motion to exchange William Franklin for John McKinly. August 21 Orders printing of the proceedings of Gen. Charles Lee's court-martial; hears Silas Deane conclude "the general account" of his mission to France. August 24 Orders the release of commissary Benjamin Flowers and the prosecution of deputy commissary Cornelius Sweers. August 28 Receives news of failure of the Franco-American attack on Newport. August 31 Adopts measures to improve recruitment of the Continental Army. September 1 Refers passport application of British secret agent John Temple to the state of Pennsylvania. September 2 Recommends granting exemptions to the provisions embargo. September 3 Resolves to permit recruitment of German mercenary deserters; postpones expedition planned against Seneca Indians. September 5 Ignores appeal of secret British agent Dr. John Berkenhout for release from Pennsylvania jail; emits additional $5 million in continental currency. September 9 Votes thanks to Gen. John Sullivan for the conduct of his forces at Rhode Island; orders Rhode Island expedition inquiry September 11 Authorizes dispersal of Gen. John Burgoyne's Convention Army for its more convenient subsistence; urges Maryland to curb evasions of the embargo. September 14 Appoints Benjamin Franklin minister plenipotentiary to France; approves exchange of William Franklin for John McKinly. September 19 Reads committee of finance report; orders finance report printed. September 22 Orders examination of William Carmichael on the activities of Silas Deane in France. September 25 Appeals to Virginia and North Carolina to aid South Carolina and Georgia; appoints Benjamin Lincoln to command the southern department. September 26 Reorganizes the offices of the treasury; emits an additional $10 million in Continental currency. September 28 Conducts examination of William Carmichael. September 30 Conducts examination of William Carmichael; reassigns Casimir Pulaski's legion. October 2 Extends embargo to January 31, 1779; requests states to seize provisions to prevent engrossing and speculation. October 3 Informs Casimir Pulaski "that it is the duty of every military officer in the service of these states, to yield obedience" to the laws of the states. October 5 Conducts examination of William Carmichael on the activities of Silas Deane in France. October 6 Invites Dr. Richard Price to become a citizen and move to the United States to assist "in regulating their finances." October 8 Lifts limitations on the price of silver and gold. October 12 Adopts resolves to suppress "theatrical entertainments, horse racing, gaming, and such other diversions as are productive of idleness, [and] dissipation." October 13 Orders Washington to take measures for frontier defense. October 14 Receives documents from Silas Deane and schedules continuation of inquiry into charges made against him. October 15 Receives intelligence of the distribution of a "Manifesto and Proclamation" from the British peace commissioners. October 16 Orders seizure of persons attempting to distribute "manifestoes" of the British commissioners; orders removal of the Convention Army to Charlottesville, Va. October 17 Commends comte d'Estaing for his attempts to assist the forces of the United States. October 21 Orders arrest of British commissary of prisoners in Philadelphia; declares opposition to "partial and parole exchanges" of prisoners of war in favor of "a general exchange"; commends the marquis de Lafayette and declares thanks to the king of France. October 22 Assigns Horatio Gates to command of the eastern department; adopts instructions for the American minister to France and a "Plan of an Attack upon Quebec." October 26 Appoints a committee to prepare a publication on "matters relating to" negotiations with the British peace commissioners. October 27 Responds to the Governor of Havana for his introduction of Juan de Miralles, unofficial Spanish agent to the United States. October 29 Reorganizes the Board of War. October 30 Adopts a "Manifesto" vowing to take "exemplary vengeance" against future acts of enemy barbarity. October 31 Rejects proposal from the Spanish Governor of New Orleans for an attack on West Florida. November 2 Authorizes an attack on East Florida. November 3 Appoints a comptroller, auditor, treasurer, and commissioners of accounts for the reorganized treasury office. November 4 Orders printing of the FrancoAmerican treaties; resolves to emit additional $10,000,000 in Continental currency. November 7 Orders December 30 set apart as "a day of general thanksgiving"; reaches compromise in dispute over provisioning prisoners of war. November 10 Augments plans for an expedition against East Florida. November 11 Exempts embargoed flour purchased in Virginia for the French navy. November 12 Denies John Connolly's plea to be treated as a prisoner of war because of parole violations. November 14 Adopts incentives for naval enlistments. November 17 Orders closer confinement of John Connolly; adopts thanksgiving day resolve. November 19 Authorizes Washington to appoint commissioners to negotiate a prisoner exchange; receives Thomas McKean's charges against Gen. William Thompson. November 20 Hears General Thompson's denial of Thomas McKean's charges. November 23 Examines witnesses in McKean-Thompson dispute. November 24 Adopts rules for settling rank and seniority disputes in the Continental Army; authorizes Board of War "to finish the arrangements of the army agreeably to the resolutions of Congress." November 26 Receives New Jersey ratification of Articles of Confederation. November 27 Rejects petition for exempting grain for Bermuda from the embargo. November 28 Responds to Adm. James Gambier's threat to retaliate against American prisoners of war. December 3 Confirms Gen. Philip Schuyler's court-martial acquittal; receives letters recommending secret British agent John Temple. December 5 Endorses Washington's recommendations for suspending preparations for a Canadian invasion; confirms Gen. Charles Lee's court-martial conviction. December 7 Orders Silas Deane to report in writing on "his agency . . . in Europe"; hears testimony in McKean-Thompson dispute. 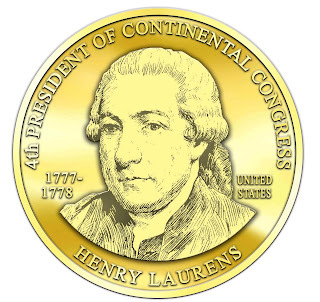 December 9 Receives Henry Laurens' resignation as president of Congress. On one occasion, he feuded with President of Congress Henry Laurens of South Carolina over a personal matter. He accepted Laurens' challenge to a duel, but en route to the proposed site convinced Laurens that they should bury their differences and drop the matter. a singular case of duel occurred in Philadelphia in 1778 or '79, between Henry Laurens, President of Congress, and Mr. Penn. They were fellow-boarders, and breakfasted together the same morning. They were to fight on a vacant lot vis-d-vis the Masonic Hall, on Chestnut Street. In crossing at Fifth Strvet, where was then a deep slough, Mr. Penn kindly offered his hand to aid Mr. Laurens, then much the oldest, who accepted it. He suggested to Mr. Laurens, who had challenged him that it was a foolish affair, and it was made up on the spot. Laurens' relations with John Penn had been strained for some time, according to the later testimony of Charles Thomson, and this appeal to Penn for confirmation was probably the episode that led the two men to clash. Penn, it seems, refused to respond to Laurens' appeal, and the latter chose to regard the refusal as an attack on his honor. In any event, two contemporary documents contain reports that Laurens and Penn engaged in a duel at about this time. A January 17,  letter from Conrad Alexandre Gérard to Vergennes and a January 21 letter from Samuel Sterett to Gen. Mordecai Gist.. For Secretary Thomson's testimony that when Laurens was president he had once openly taunted Penn from the chair while Congress was in session, see Charles Thomson's Statement to a Committee of Congress, September 6, 1779. In 1779 Henry Laurens was appointed minister to Holland to conclude a Treaty of Commerce between the United States and the Netherlands. Commissioner William Lee had secretly put it together with Jean de Neufville, an Amsterdam businessman. The Treaty was signed by the Chief Magistrate Van Berckel of Amsterdam. That the minister plenipotentiary of these United States at the Court of Versailles, be authorised and empowered to offer Lieutenant General Burgoyne in exchange for the Hon. H. Laurens. On the question to agree to this, the yeas and nays being required by Mr. Samuel John Atlee, So it was resolved in the affirmative. He spent the summer of 1781 in the Tower reading Gibbons’ "Decline and Fall of the Roman Empire” writing letters that drew parallels with Great Britain that included first-hand accounts of British troops horrendous conduct in the America. These letters were circulated in Great Britain, and became a source of public embarrassment for the Parliament and King. Tis enough to provoke me to change my lodging … If I were possessed of as many guineas as would fill this room, I would not pay the warders, whom I never employed, and whose attendance I shall be glad to dispense with. Attempts, sir, to tax men without their consent, have involved this kingdom in a bloody seven years’ war. I thought she had long since promised to abandon the project. Since August of 1781 Edmund Burke had sought the release of Henry Laurens from the Tower in exchange for General Burgoyne. The bringing of Laurens's case before Parliament was due to Franklin and Burke. On August 15, 1781, Burke, on his own impulse solely, wrote to Franklin to secure the exchange of Burgoyne. Franklin replied informing him of the resolve of Congress to offer Burgoyne in exchange for Laurens and requested Burke to execute the arrangement. When Parliament met Burke early called attention to the treatment of the prisoner. December Ist Laurens received from him an invitation to petition the House of Commons for release or easier treatment. In response he penciled that same day on the flyleaf of a book a petition in the following language, Mr. Burke not having sent the "safe and inoffensive form" he promised—an omission which proved very damaging to Laurens in America. The representation and prayer of Henry Laurens, a native of South Carolina, sometime recognized by the British Commissioners in America by the style of His Excellency Henry Laurens, President of Congress, now a close prisoner in the Tower of London; Most respectfully showeth, That your representer for many years, at the peril of his life and fortune, evidently1 laboured to preserve and strengthen the ancient friendship between Great Britain and the colonies; and that in no instance he ever excited on either side the dissensions which separated them. That the commencement of the present war was a subject of great grief to him, inasmuch as he foresaw and foretold, in letters now extant, the distresses which both countries experience at this day. That in the sin and progress of the war, he extended every act of friendship in his power to persons called Loyalists and Quietists, as well as to British Prisoners of War; very ample proof of which he can produce. That he was captures on the American coast, first landed upon American ground, where he saw exchange of British and American Prisoners in the course of negotiation; and that such exchange and enlargements upon parole are mutually and daily practiced in America. Petition of Henry Laurens to the British House of Commons from the Tower of London dated December 1, 1781 Courtesy of the James Madison Papers at the Library of Congress. The problem was not on the U.S. side, it was with the British Ministry as Laurens was charged with High Treason and the exchange with General Burgoyne did not meet the standards of “similar charges” required to exchange the prisoners. The capture of General Cornwallis at Yorktown in Virginia was yet another matter for considerations required for a prisoner exchange. The General was charged as being barbarous in his conduct of the War in the Southern States and the debate in Congress over the now Cornwallis-Laurens exchange was quite heated. About ten or twelve days before the first day of Easter term, being still in a very bad state of health, I obtained permission to leave England, in order to hold a conference with Mr. Adams, having a warrant from under the hand of Lord Shelburne for putting off the day first assigned for my appearance at the court of the king's bench. Mr. Adams met me at Haerlem (within twelve miles of Amsterdam), and in a conversation of a very few minutes, confirmed me in opinions which I had firmly and uniformly delivered to the British ministry, that the United States of America would not enter upon any treaty with Great Britain, but in terms of the treaty of alliance between France and America. On the 23d of April I returned to London, and repeated the next day to Lord Shelburne what I had formerly assured his lord. ship on that head, in which his lordship had supposed, or perhaps only hoped, that I had been mistaken for want of better information. I left his lordship apparently disappointed and chagrined. November 29, 1782 -- Met Mr. Fitzherbert, Mr. Oswald, Mr. Franklin, Mr. Jay, Mr. Laurens, and Mr. Strachey, at Mr. Jay's, Hôtel d'Orléans, and spent the whole day in discussions about the fishery and the Tories. Commissioner Oswald produced a paper from his pocket, in which he had drawn up a claim, and he said the first principle of the treaty was equality and reciprocity. Now, they demanded of us payment of debts, and restitution, or compensation to the refugees. Upon this, I recounted the history of General Gage's agreement with the inhabitants of Boston, that they should remove with their effects, upon condition that they would surrender their arms; but as soon as the arms were secured, the goods were forbid to be carried out, and were finally carried off in large quantities to Halifax. Dr. Franklin mentioned the case of Philadelphia, and the carrying off of effects there, even his own library. Mr. Jay mentioned several other things, and Mr. Laurens added the plunders in Carolina, of negroes, plate, &c.
I said I never could put my hand to any articles without satisfaction about the fishery; that Congress had, three or four years ago, when they did me the honor to give me a commission to make a treaty of commerce with Great Britain, given me a positive instruction not to make any such treaty without an article in the treaty of peace acknowledging our right to the fishery; that I was happy Mr. Laurens was now present, who, I believed, was in Congress at the time and must remember it. Mr. Laurens upon this said, with great firmness, that he was in the same case and could never give his voice for any articles without this. Mr. Jay spoke up, and said it could not be a peace; it would only be an insidious truce without it. November 30, 1782. - We met first at Mr. Jay's, then at Mr. Oswald's; examined and compared the treaties. Mr. Strachey had left out the limitation of time, the twelve months, that the refugees were allowed to reside in America, in order to recover their estates, if they could. Dr. Franklin said this was a surprise upon us. Mr. Jay said so too. We never had consented to leave it out, and they insisted upon putting it in, which was done. Mr. Laurens said there ought to be a stipulation that the British troops should carry off no negroes or other American property. We all agreed. Mr. Oswald consented. Then the treaties were signed, sealed, and delivered, and we all went out to Passy to dine with Dr. Franklin. Thus far has proceeded this great affair. The unravelling of the plot has been to me the most affecting and astonishing part of the whole piece. I was very happy that Mr. Laurens came in, although it was the last day of the conferences, and wish he could have been sooner. His prehension, notwithstanding his deplorable affliction under the recent loss of so excellent a son, is as quick, his judgment as sound, and his heart as firm as ever. He had an opportunity of examining the whole, and judging and approving; and the article which he caused to be inserted at the very last, that no property should be carried off--which would most probably, in the multiplicity and hurry of affairs, have escaped us--was worth a longer journey, if that had been all. But his name and weight is added, which is of much greater consequence. It is curious that a patriot who played such a crucial role in the negotiation of the Treaty, suffered many indignities of war including losing a son and being imprisoned in the Tower of London would not remain a few more days to sign such a historic manuscript as a Commissioner. Laurens would remain in his capacity as a Peace Commissioner until June 22, 1784 when he sailed to New York. Earlier that year, in February he was reelected to Congress. He arrived with his son Henry, Junior in August hoping to report on his European mission and to urge Congress to negotiate a commercial treaty with Great Britain. He remained in the North until November 17th as the United States in Congress Assembled was unable to convene a quorum to hear his pleadings. Jacob Read wrote to Benjamin Guerard about the incident. It gives me great pain to find Colo. Laurens is under the necessity of leaving the delegation at this time. He is upon the Point of setting out by Land from this place, having left Trenton on Wednesday last. (6) His great abilities & thorough Information in our European Affairs are highly necessary in Congress at the present which I believe is generally admitted to be a most critical Period to the United States especially to the Commercial Interests of the Union. 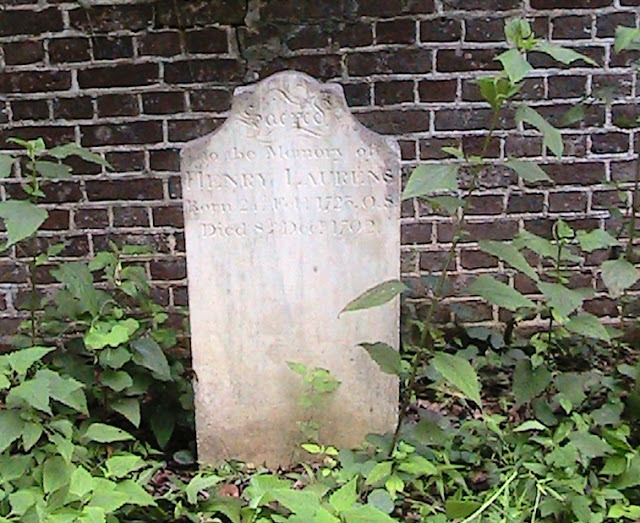 Laurens returned first to Mepken Plantation on January 7, 1784 and then to Charleston on the 14th. He was welcomed with enthusiasm and offered many offices which, in his impaired health forced him to decline. Two years later on March 15 1787 he declined his election as a delegate to the Constitutional Convention which was a loss to that body as he played a pivotal role in the drafting of the first U.S. Constitution. On July 14th he did accept an appointment to American Philosophical Society. Upon the passage of the Constitution in 1787, he agreed to serve in Charleston from May 21 – 24th, 1788 on the ratifying State convention. South Carolina was the eighth state to ratify on May 23rd – 149 to 73. On July 7, 1790 he signed an order that upon his death his slave George be made a free man. He did manage to take some time on November 15, 1790 and petition Congress for compensation of rice supplied to Continental troops in 1776 on behalf of his son, John Laurens’, daughter. On May 26, 1792 he married Elizabeth Rutledge and died that same year at Mepkin on December 8th with order to be cremated. His ashes were buried in the Laurens family graveyard next to his son at Mepken Plantation. This was the first cremation of a major political figure in the United States of America. Laurens's political papers have been published in the collections of the South Carolina Historical Society, and his rebus letter to Lord George Gordon is reprinted in the "Magazine of American History" (December, 1884). Wallace, David Duncan, Life of Henry Laurens pages 100 and 101. Strouds were a coarse woolen cloth used in trade with the Indians. Henry Laurens, Autograph Letter Signed regarding financial matters from Charleston on 10 October 1765, Original Manuscript. Stanley L. Klos Collection. In 1775 after Joseph Galloway and other loyalists abandoned Congress this coalition was born by and alliance of New England and Southern men like Richard Henry Lee, Eldridge Gerry, John and Samuel Adams who were strong proponets for independence. Jennings B. Sanders, Presidency of the Continental Congress 1774-89 A Study in American Institutional History, University of Chicago Press, 1930. pages 15 and 16. Gout occurs when uric acid builds up in blood and causes joint inflammation. William Cullen Bryant and Sydney Howard Gay, A Popular History of the United States, Scribner, Armstrong, & Co.: 1879, pages 593 and 594. Paul H. Smith, ed. Letters of Delegates, Henry Laurens to Congress December 12, 1777. Jennings B. Sanders, Presidency of the Continental Congress 1774-89 A Study in American Institutional History, University of Chicago Press, 1930. Ibid, Francois-Louis Teissedre de Fleury Petition, April 28, 1777. Henry Laurens and Charles Thomson, Signed Document, Original Manuscript, Stanley L. Klos Collection. John C. Fitzpatrick, Editor. January 4, 1778, Original Manuscript, The Writings of George Washington Image 385 Manuscript Sources, 1745-1799. June Lloyd, “Beware of Your Board of War”, Historical Society of Pennsylvania Online 2004-2008. Journals of the Continental Congress, June 25th, 1778. Journals of the Continental Congress, Recall of Silas Deane, December 8, 1777. Paul H. Smith, ed. Letters of Delegates to Congress, 1774-1789, Henry Laurens to Rawlins Lowndes, December 16, 1778. Paul H. Smith, ed. Letters of Delegates to Congress, page 441. Paul H. Smith, ed. Letters of Delegates to Congress, 1774-1789, Henry Laurens to President of the United States in Congress Assembled, May 30, 1782. Paul H. Smith,, ed. Letters of Delegates to Congress, The Revolutionary Diplomatic Correspondence --J. Adams' Journal of Peace Negotiations, November 28 and 29, 1782. Paul H. Smith, ed. Letters of Delegates to Congress, Jacob Read wrote to Benjamin Guerard November 1784.